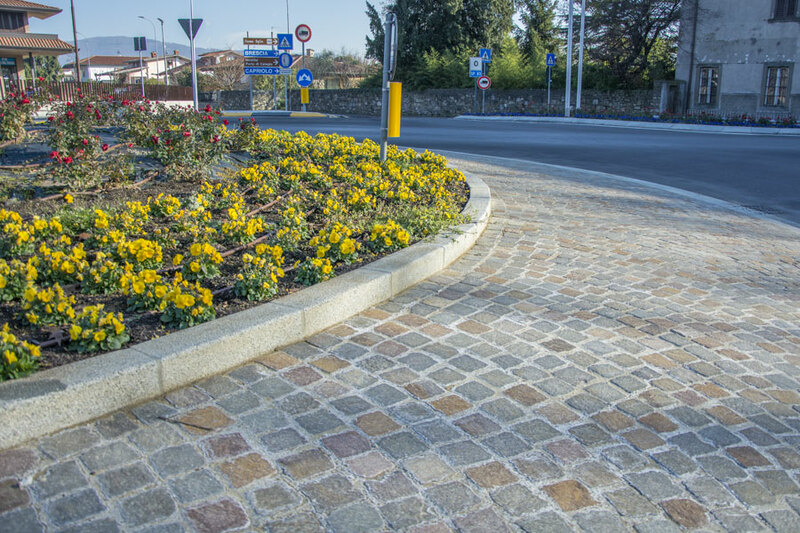 Street level external sidewalk realized with Red Trentino Porphyry Cubes cm 08/10, delimited, both internally and externally, by Grey Extracee Granite kerbstones – one long side fine picked – fine picked head – rounded chamfer cm 1.0×1.0 – cm 14x25x100 – sawn joints – sawn back. 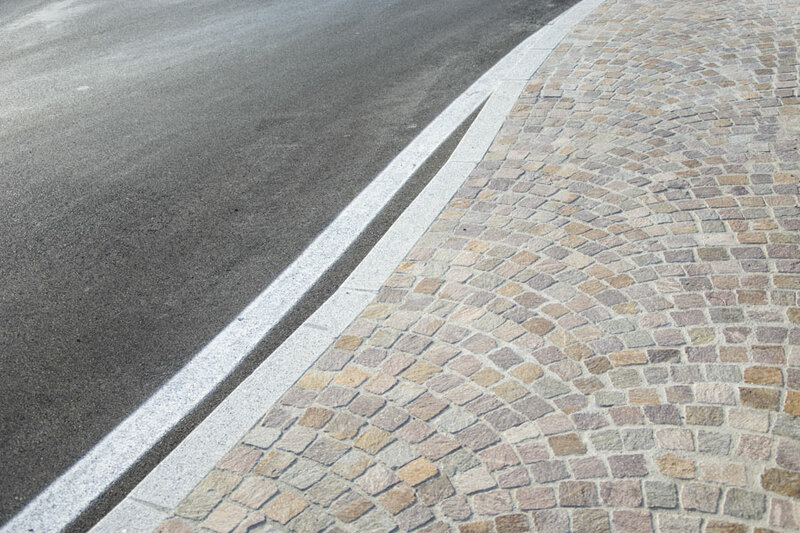 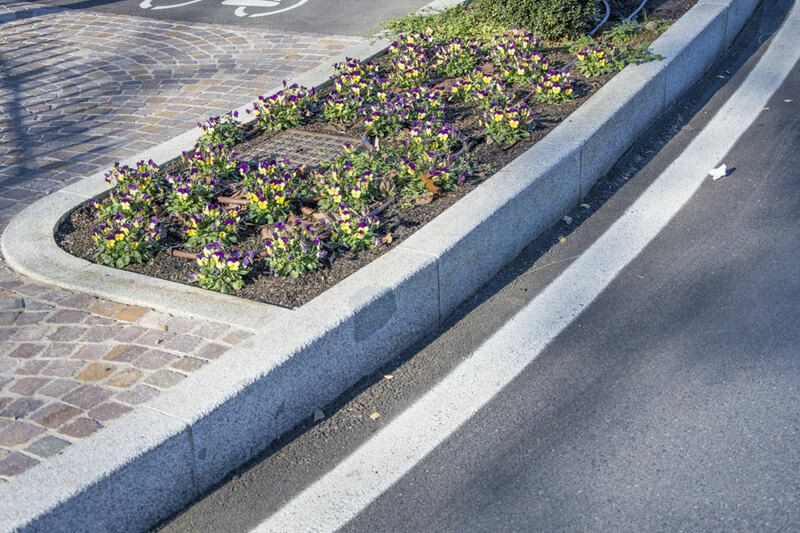 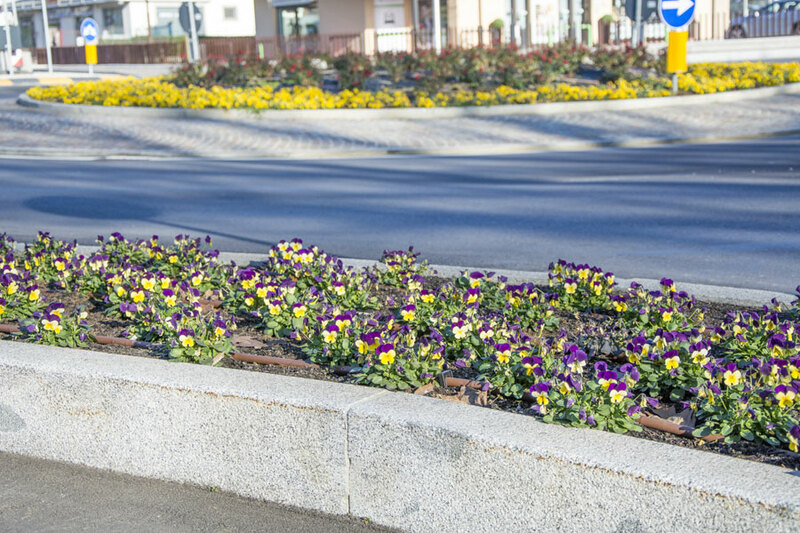 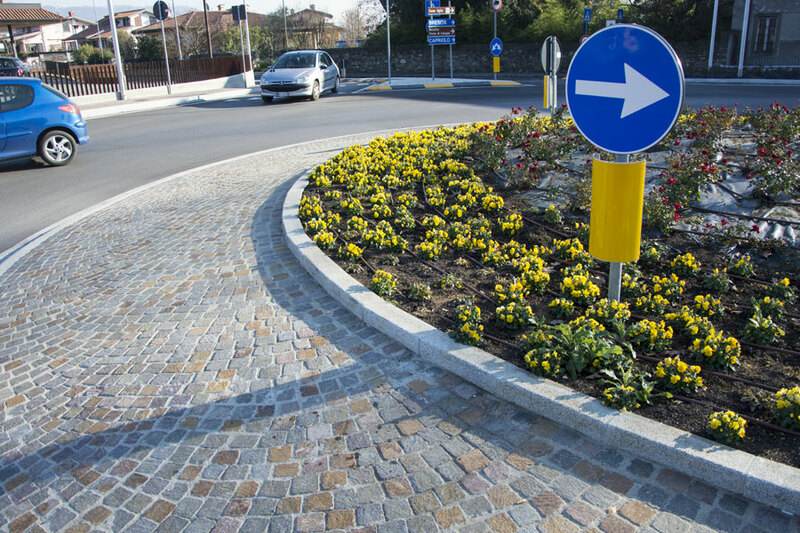 Particular of the street level paving realized with Red Trentino Porphyry Cubes cm 08/10. 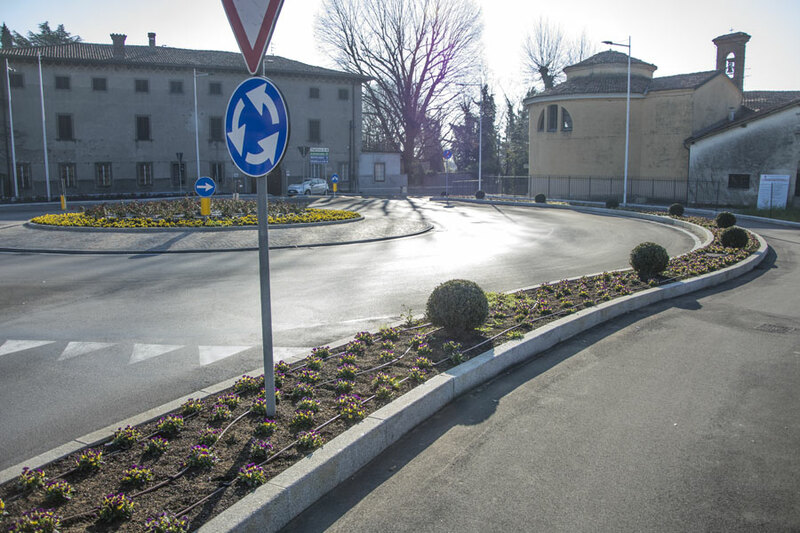 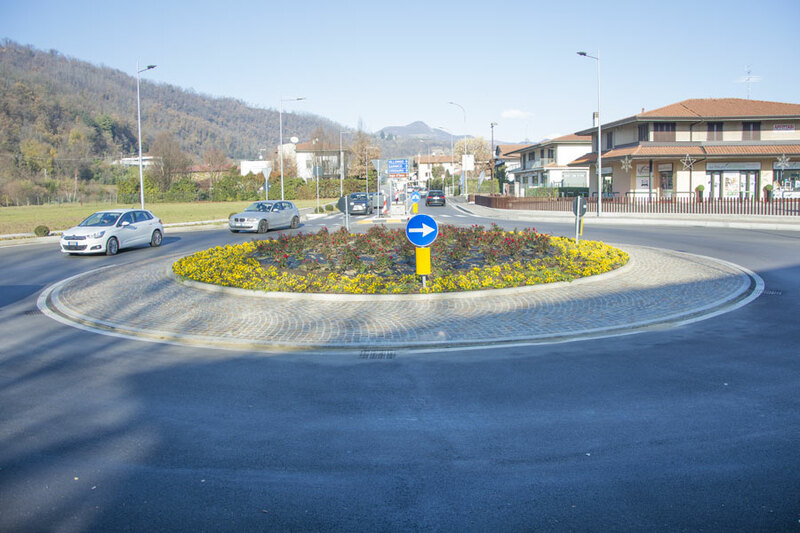 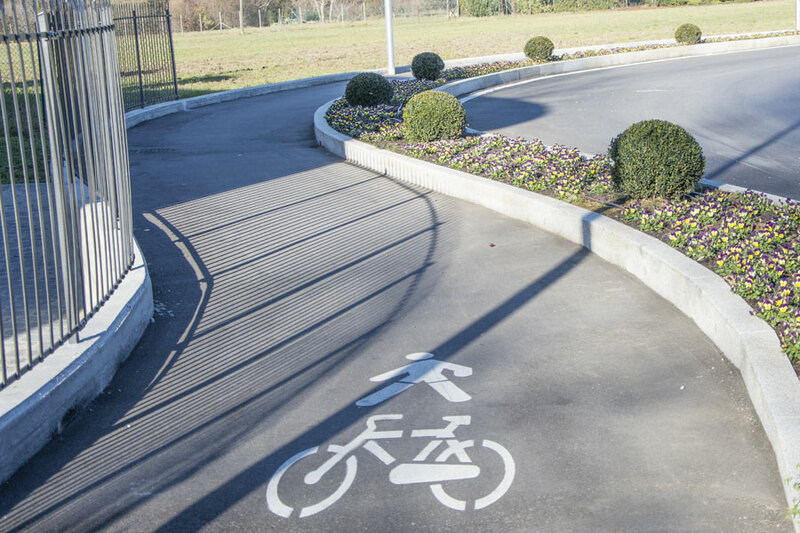 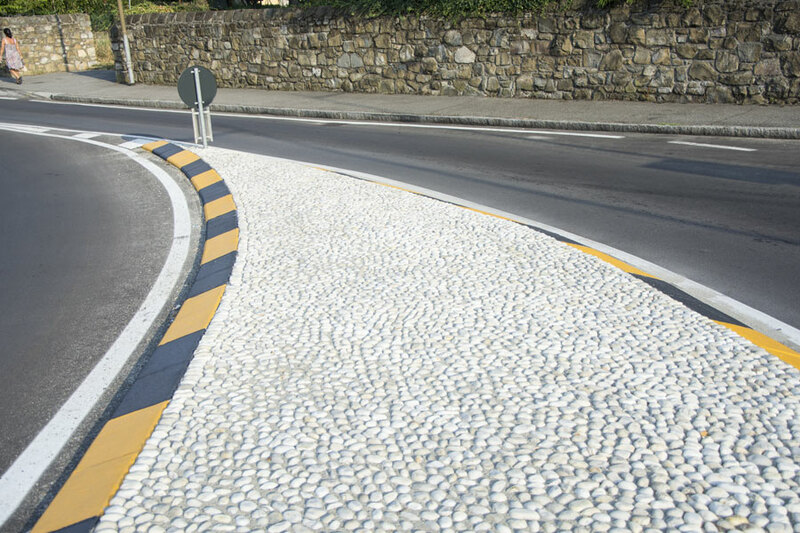 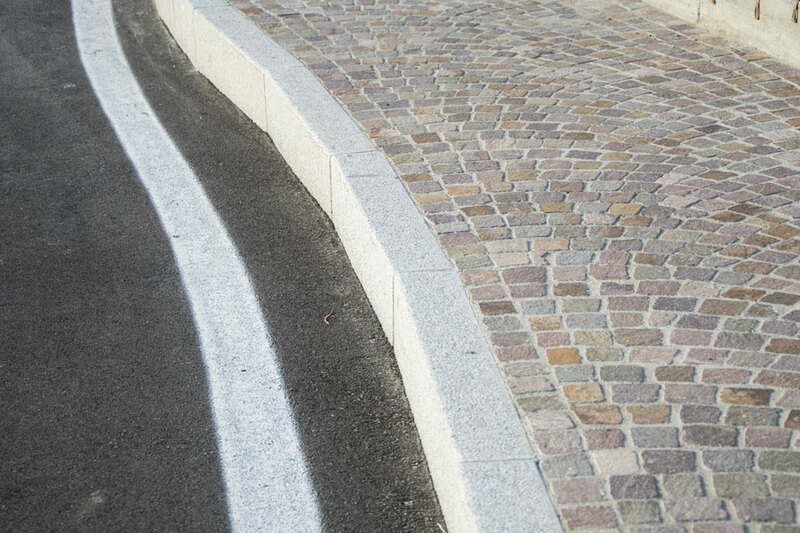 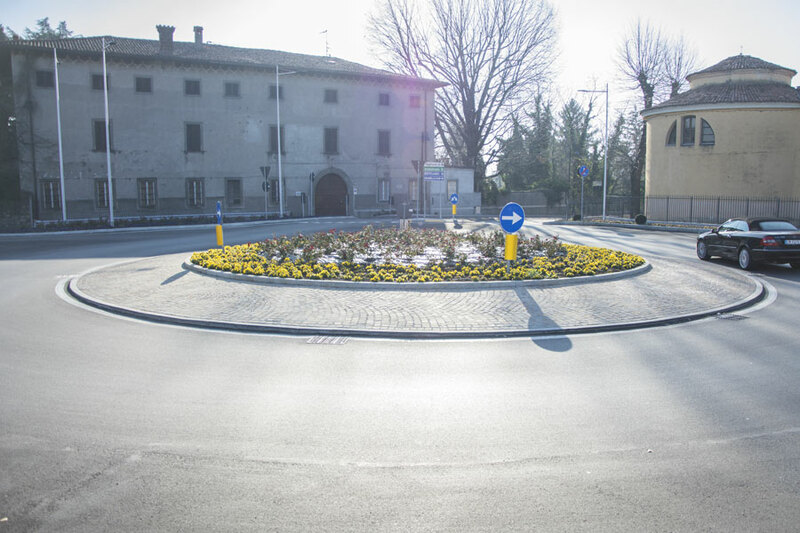 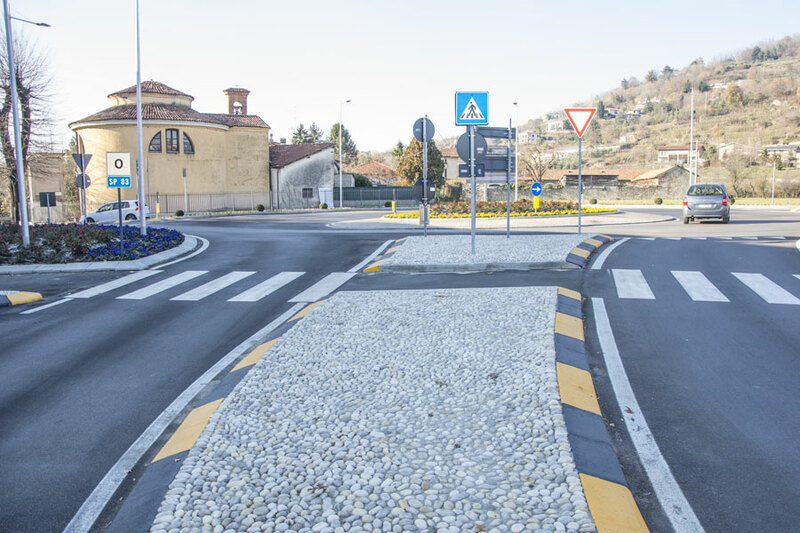 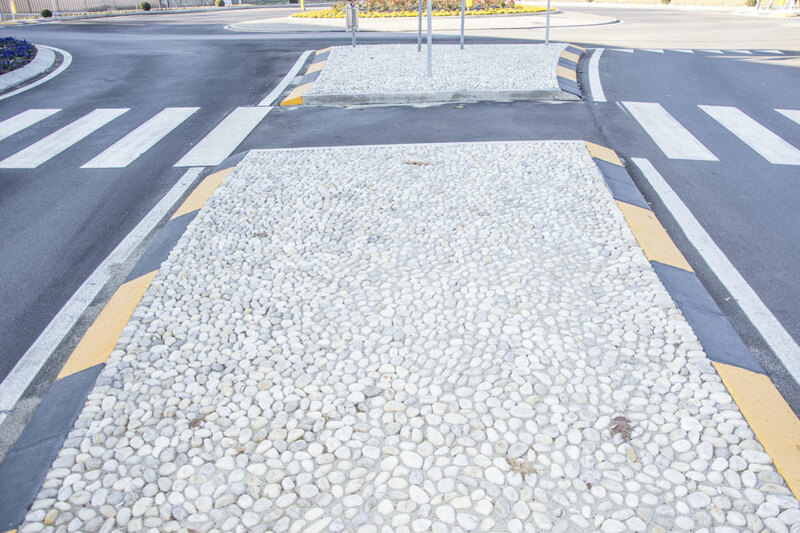 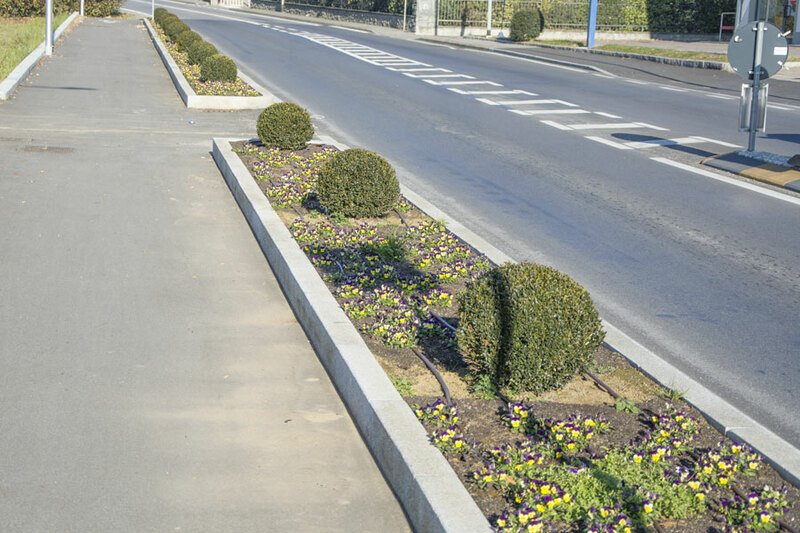 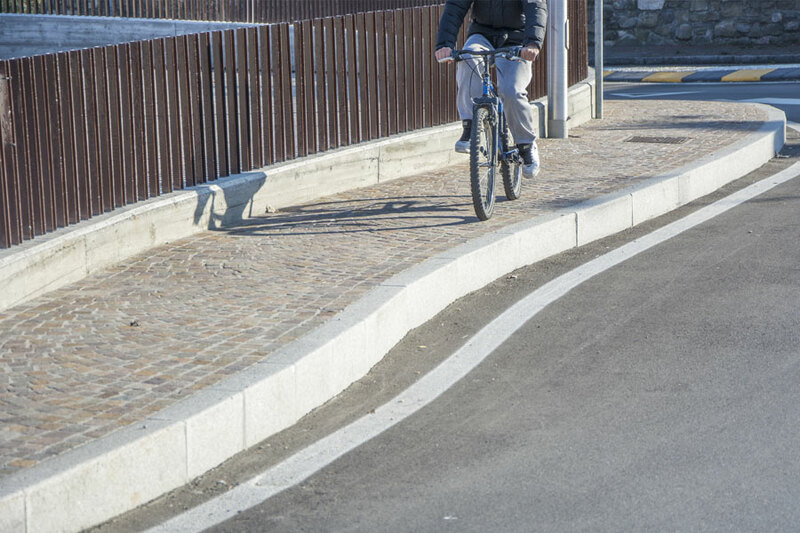 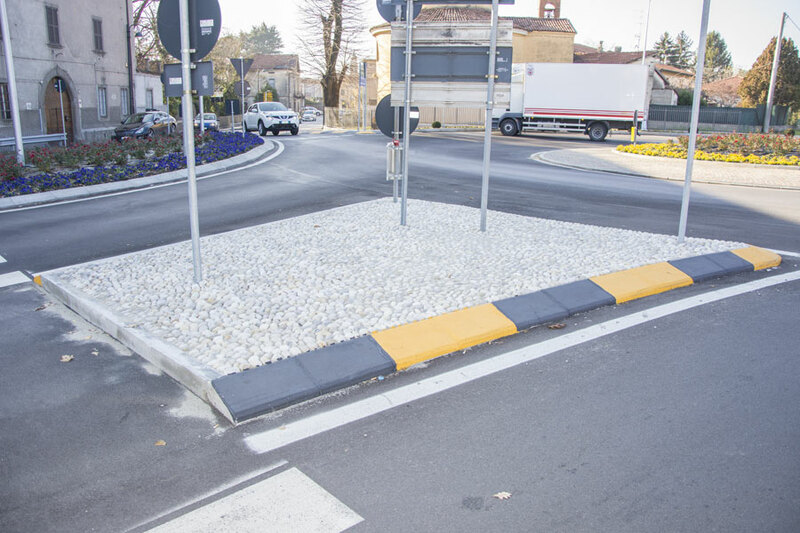 Traffic islands paving realized with White Ticino Pebbles cm 06/08. 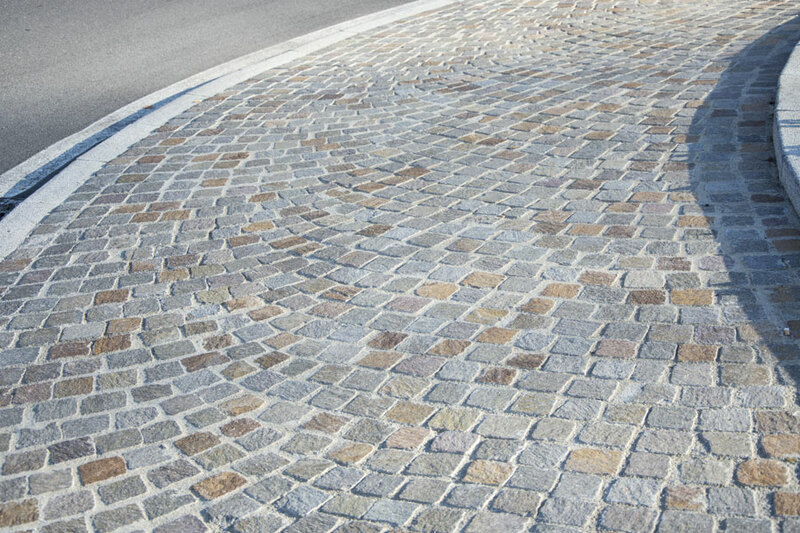 Particular of the Grey Extracee Granite kerbstones – one long side fine picked – fine picked head – rounded chamfer cm 1.0×1.0 – cm 14x25x100 – sawn joints – sawn back.